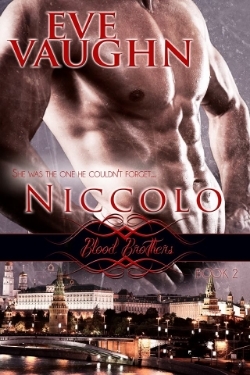 Eve Vaughn, Romance Author » Blog Archive » Niccolo Now Available!!!! « Give Me Books Giveaway!! Vampire, night club owner Niccolo Grimaldi has made a lot of hard choices. The hardest? Walking away from his child and the woman he could never forget. But for their safety, he knows he must stay away. When witch, Sasha Romanova met Niccolo Grimaldi, she believed she had found the one who would love her, faults and all. That is until dark forces were used to keep them apart. When tragedy struck, Sasha and Niccolo sought comfort in each other’s arms. But that one night of bliss doesn’t last and Sasha is left to raise their son alone. Years later, Sasha must come face to face with the man she never stopped loving when their son goes missing. 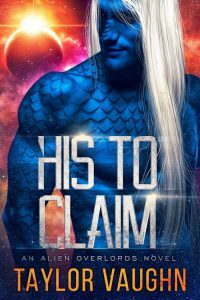 In order to find their son before their enemies do, she must convince him to listen to his heart as they journey on a path of danger, intrigue and lust. This entry was posted on Wednesday, January 29th, 2014 at 5:59 am in Uncategorized. You can feed this entry. You can leave a response, or trackback from your own site.